VA loans are mortgages guaranteed by the US Department of Veterans Affairs (VA). VA Purchase Loans are one of the few mortgage products in existence where borrowers can buy a home with no down payment, a pretty good reason for taking one out compared to other types of mortgages. It’s easy to get the impression that the VA actually lends money to veterans since “VA” is right in the name of many loan products offered to qualified servicemembers. But the the department does not actually shell out any money. Instead, borrowers take out mortgages from private-sector institutions like banks, credit unions, and mortgage companies. Ok, so then what the heck does the VA do? First, they provide loan guarantees to lenders. These guarantees determine how much is paid to the lender -- like a form of insurance against losses -- should borrowers not pay the mortgage back (default on their loans). Second, the VA sets the guidelines (or rules) for several mortgage products that bear the letters “VA” in the name. 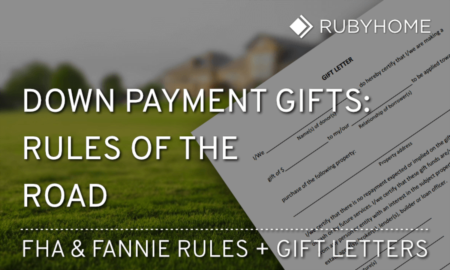 The rules say whom is eligible and how much guarantee backs up each loan. The VA’s guarantee is based on the total amount of the mortgage. The guidelines also determine what kind of dwellings vets can buy (house, condo, etc.) Lenders follow these VA guidelines and then issue the final “yes” or “no” regarding borrower applications. Just so you know, lenders set interest rates as well. To say it another way, the VA sets up a bunch of guidelines and oversees a program that says to lenders, “Hey, follow our rules and we’ll guarantee part of each loan you make to a veteran.” Guidelines are set up for purchases as well as refinances. The VA guaranty allows lenders to loan money at favorable terms (i.e. lower interest rates) and eliminates the need for a borrower to make a down payment. However, Veterans pay an upfront funding fee (covered below), so there is a financial cost for the person taking out the loan, it's not a free lunch. But when weighing a VA loan's pros and cons, most borrowers determine it's the best option. President Franklin Delano Roosevelt signed the Servicemen’s Readjustment Act in 1944. You may know that piece of legislation’s more common name, the GI Bill. The GI Bill did a lot more than just recognize service and service for their service, it massively transformed American society. Education benefits created a post war labor force of highly-educated, technical workers that fueled the rise of the middle class. Mortgage benefits made many Americans first time homeowners. Another by product of zero-down, low interest rate VA loans was the migration of post war families from city apartments to suburban homes. So yeah, the GI Bill indirectly created suburbia. A lot of people assume VA loans are just for veterans or only for vets who served in wartime combat roles. In fact, VA benefits are extended to a much wider pool of potential homeowners. The US Department of Veteran’s Affairs helps active military, Servicemembers, veterans, and eligible surviving spouses become homeowners. The original 1944 version of the GI Bill defined benefit eligibility for active duty, wartime veterans. Over the years, benefits were extended to peacetime veterans. The VA expanded eligibility during each successive war (Korean, Vietnam, and Gulf Wars) as well as peacetime periods. Reservists and National Guard personnel were added in the early 1990s. Spouses of military members who died while on active duty or as a result of a service-connected disability were also brought into the fold. Active duty servicemembers may also apply; it’s not just for veterans. Amazing fact: Over 20 million VA loan guarantees have been provided since 1944. Currently, there are 1.9 million outstanding. There are two main VA loan requirements; applicants need to document both their military service and their ability to repay the loan. The second requirement is what you'd expect to see in any mortgage approval process, a thorough review of the borrower's financial profile. VA loan underwriting covers basic qualifying criteria that anyone -- not just vets -- must meet in order to get a mortgage. The difference is that for VA loans, underwriting is more forgiving than say, a conventional or FHA mortgage. Let’s walk through the COE and Three Cs. Obtaining your COE it is the first step in the loan approval process. You can learn more about how to obtain your COE through eBenefits. However, most lenders can pull the COE for you, saving time you and a little bit of hassle. When it comes in, that's when the ball can start rolling with a loan application and lender underwriting. Lenders want to know if borrowers have sufficient income to make their monthly mortgage payments. You'll provide proof of steady employment, Your income will be documented and then an underwriter will compare it to your debts. Income can take several forms. It includes things like regular wages (show in W-2s) over a two-year period, interest, dividends, alimony and rental income. Your loan officer can provide a checklist of all the reportable types of income. More is always better as it helps your qualifying ratios (explained below). The aforementioned documentation starts painting a picture of the relationship between your income and the proposed monthly mortgage payment. This first snapshot is called a Front End Ratio, sometimes referred to as Housing Expense Ratio. The Front End Ratio is one of two qualifying ratios used in FHA and conventional loan underwriting. But VA loans don't. The reason it's mentioned here because the Front End Ratio helps illustrate something the VA does care about, the Debt to Income Ratio (DTI). Let's start with the Front End Ratio and then turn it into a Back End Ratio or DTI. Next, we pull in your other monthly bills and add it to the proposed mortgage payment. That forms the Total Monthly Debt Expense. Monthly debt includes installment and revolving debt payments like credit cards, auto loans, student loans and child support. Boom, there you have it! Now we have a pretty good idea how much can a borrower afford. VA guidelines allow a DTI of 41%. Here's an example. A borrower wants to take out a $300,000 loan. That's roughly $2,000 per month for the mortgage payment (principal, interest, taxes and insurance) on a mortgage carrying a 6.5% interest rate. If the borrower also has monthly debt payments of $400, that brings the total monthly debt expense to $2,400. The borrower makes $80,000 per year. Is the borrower within the 41% DTI? Let's check. Your history of paying your bills on-time and in-full will show a lender that you have suitable credit. When a credit report is pulled, lenders get a detailed look your credit history as well a summarizing FICO score. You will sometimes hear a credit report called a "tri-merge" which is shorthand for a report that contains data from three major credit bureaus, Experian, Equifax and TransUnion. While the VA doesn't set a minimum credit score, lenders will have their own standards they follow. Their minimums hover around the 620 to 640 range. In a FHA or conventional loan scenario, there are two things that collateralize or back up a loan: equity and the property itself. Usually there's a down payment involved in a purchase transaction which creates equity in a home on Day 1. It's that equity that creates safety cushion that helps lenders get their money back even if the house is worth less in foreclosure then the original purchase price. In the case of a $0 down VA purchase, there's no equity. This means the lender will rely solely on the property to collateralize the loan. VA-approved appraisers are the neutral, third party that estimate what a home is worth and that it meets VA guidelines. Establishes fair market value - compares the property to recent sales of similar homes. Once the value is determined by the appraiser, the lender will fund the lesser of the purchase price or appraised value. Verifies minimum property requirements - conducts a health and safety check of the property to identify obvious repairs needed, if any. However, this is a very cursory view of potential issues. This is not an inspection, and you are strongly encourage to get one. A house that is in good shape has fewer repairs thus reduces total cost of ownership. Peace of mind is worth something, too. Home inspectors can identify problems with major systems like plumbing, electric, heating, cooling and water. They'll check structural components from the roof to foundation. There's also a $6,000 allowance for upgrading things like major appliances, attic insulation or installing solar panels with the VA Energy Efficient Mortgage (EEM) program. VA Loan Limits provide a maximum loan size for the type of dwelling that will be purchased and subsequently guaranteed by the VA. The location of the home also plays a role in the limits. VA loan limits vary by county and sometimes by city. This is a bit goofy, but try to follow this explanation of how loan limits are set. The Department of Veterans Affairs does not cap how much one can borrow. Instead, the VA caps its loan guaranty to 25% of the total loan amount. So even though the VA doesn’t cap the loan amount, they cap their guaranty (a form of insurance) which affects how much money private lenders would be willing to lend. Reminder: The VA is not a lender. Private lenders follow the VA's guidelines and then make loans to Veterans. Anyway, private lenders love that VA guarantee; it reduces their risk of losing money if a borrower defaults. And, it means they can make more loans than they could without a guaranty. Let's talk about why counties and cities are mixed into the loan limits. One of the ways loan limits are determined is by looking at average home prices in a given geographical area, either by county or by city. The highest limits are found in America’s most expensive cities like New York and Los Angeles. This is a good thing. Here's why: Accounting for differences by county and sometimes city keeps homes affordable for veterans regardless of where they live. Lenders typically loan up to 4x of that amount when there is zero down payment (again, assuming the borrower’s credit is sufficient). The basic VA entitlement is $36k for each eligible veteran. Lenders can take on more risk if they wish and make loans in excess of a county’s loan limit. But the VA guaranty will still be restricted to 25% of the county loan limit. Interest Rate Reduction Refinance Loans (IRRRLs), are not subject to county loan limits. This makes complete sense. Here’s why: Say home prices in your area have gone way up while current interest rates are lower than your existing mortgage, you will still be able refinance and reduce your monthly payment. Let's drill down for a second. VA loans can be used on bigger homes than most people think. We hear "loan limit" and think: That's it? There's actually more to the story. First, VA loan limits apply to the loan amount that is backed by the VA, not the home value. If you've been saving up money for a down payment or have equity from a previous property that you are going to use for a home purchase, you have even more price headroom. Borrowers can actually go over the loan limit if they put up at least 25% of the amount greater than the county limit. VA-guaranteed home loans can be used to buy a single family home, condominium or townhouse. Loans can also be use to build a home or make energy efficient improvements. The home must be occupied by the borrower, not a renter, so apartment buildings and office buildings are off the table. The first notable aspect of a VA loan is that they may be obtained with $0 down payment. That’s the special deal veterans get for serving their country. You won’t find that kind of arrangement anywhere else. The second notable thing isn’t something the VA loan has but what it does not have: VA loans do not require borrowers to carry Mortgage Insurance (MI). On a non-VA loan (such as an FHA or Conventional loan), MI protects the lender should the borrower default on the loan. And the borrower pays a monthly premium until they accure at least 20% equity in the property. With VA Loans, the government carries the insurance on behalf of the borrower. A VA purchase loan is pretty much a straight-up, garden variety fixed rate mortgage. You can choose a term of 15 or 30 years. 15-year mortgages have a lower interest rate than the 30-year version. 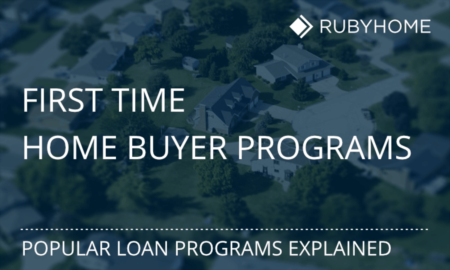 The lower rate will save you money on the total cost of the loan over time. However, compressing the payment term to 15 years results in a higher monthly payment. Obviously, you’ll own the home free and clear sooner with the 15-year loan. If you’re goal is to own a home outright sooner rather than later, this is probably the best way to accomplish it. 30-year mortgages have a slightly higher interest rate than a 15-year loan but spreading the payments out over a longer timeframe results in lower monthly payment. The higher interest rate means to total cost of the loan is higher over time. But people naturally lover a lower payment (helps them qualify for a bigger home) which is why the 30-year loan is so popular. The VA Cash-Out Refinance Program follows the same set of VA guidelines. However, in this case, the borrower has an existing mortgage that they want to replace. During the replacement, they convert some of the built up equity into cash. The maximum loan amount cannot exceed 100% of the home’s value, inclusive of fees. Which means there will be an appraisal required. And there will be a standard underwriting package which includes credit reports, etc. With the Streamline Refinance, borrowers are not burdened with either of these. Borrowers should consider the ramifications of pulling equity out of a home. In some cases, borrowers get into a habit of pulling equity out of their home every few years. The trouble is that they are not building anything of value. Their home is treated as a giant ATM machine. There will be a VA Funding Fee for every refinance which adds to the cost of converting the equity to cash. Are you annoyed by paying $2 to withdraw a few bills from an ATM? Well, the “ATM Fee” to withdraw equity from a house will make that $2 ATM fee look quite small. The final result of habitual refinancing is that the borrower never inches his or her way toward owning a home free and clear. Not having mortgage payments in retirement is a great way to go; being financially secure at age 70 sounds pretty sweet. Is there are way to know if a cash-out refinance it’s a good or bad idea? Here’s some practical advice. Remodeling – because the cash is put back into the home as an equity-building project. Energy Efficiency – because there will be a return on the cash in the form of lower energy bills; it’ actually possible to calculate how long an investment in a particular solar installation or appliance will pay for itself. Though all of this is predicated on owning the home long enough to reap that benefit. Paying off credit cards without a plan to curtail the use of revolving credit going forward. Yes, people can pull out calculators and show you how rolling your debt into your mortgage can lower monthly costs (spreading out your credit card bills over 30 years) but do you really want to pay for that snowboard you bought on your credit card for the next 3 decades? And what good does it do if a borrower -- now free of credit card debt through a refinance -- immediately “maxes out” his or her cards again? That leads me to the second kind of loan that is potentially “good” or “bad” depending upon the borrower’s circumstances, Adjustable Rate Mortgages. From the 1960s to the mortgage crisis in 2008 many people fell in love with Adjustable Rate Mortgages (ARMs). That's because there was a really nice "carrot" for folks who got them; ARMs had lower interest rates than 30-year fixed mortgages. Therefore, borrowers had lower monthly payments. Lower payments also meant qualifying for a bigger loan, i.e. you got a bigger house. This sounds pretty good until you here that there's a catch. More on this below, but first let's talk about how ARMs work. There are two underlying components make up an ARM's interest rate. They are the index and margin. The index is the part that fluctuates. It's tied to a third-party market index such as the 1-year Treasury Bill. The second component is the margin and it's added on top of the index. Lenders borrow at the market index rate and then add their margin (usually a couple percentage points) to make their profit. For example, if a lender borrows money from the market 1-Year Treasury rate of 5% and add 2.5% margin, the borrower's interest rate is 7.5%. Here's what went wrong for a lot of folks in the early 2000s. ARM mortgages -- being fluid in their interest rate -- often adjusted to a higher interest rate. When rates went up, monthly mortgage payments went up. That put some folks in a very crummy position; they could no longer afford their home. Ouch. Traditional ARMs have interest rates that adjust every X number of years. "X" could be every year, every two years and so on. The 5/1 Hybrid ARM carries a lower, fixed interest rate for five years. This is called an initial period. On the fifth year, there is an adjustment period where the loan’s interest rate converts from fixed to adjustable. At the time of the first adjustment, market rates can be higher or lower than they were in the beginning of the mortgage. While VA added some protections (fixed rate for five years) borrowers still need to be really cautious with ARMs. The maximum initial adjustment is 1%. The rate continues to change each year -- by a maximum of 1% -- for as long as the borrower holds the loan. While the interest rate can wiggle around and inch up by 1% each year at each adjustment period, there is a final protection for the borrower called a lifetime cap. The interest rate cannot increase more than 5% over the life of the loan. In some ways, the "guardrails" of the 5/1 Hybrid ARM protect folks from the whipsaw of market interest rates. However, the worst case scenario of hitting the 5% cap can still happen. And it would have a material impact on folks who are trying to stay in their home and make their monthly mortgage payment. That's a difference of $851 per month or $10,212 per year. Not a trivial sum. This can easily be the difference between putting a kid through college or not. As mentioned above, the previous two types of VA programs can be tricky. Caution is strongly advised. So it’s with a bit of relief that we now get to talk about a great program, the Interest Rate Reduction Refinance Loan (IRRRL) pronounced “Earl” also known as VA Streamline Refinance. This program converts an existing VA loan into a new VA loan with a different (typically lower) interest rate and term. You can convert a fixed rate loan into a new fixed rate loan or you can convert an ARM to a fixed rate mortgage. If you can save money on your monthly mortgage payment because a Streamline refinance is lowering your interest rate, why wouldn’t you? It makes a ton of sense. Every time loans are refinanced, there are loan fees to handle things like processing, underwriting, etc. Repeating these same fees over and over -- via successive loan refinancing -- adds up. There's a little bit of value "erosion" going on each time. Any more than one or two refinances and the erosion is quite noticeable. Also, every time there's a refinance, the term gets reset. Some borrowers never seem to whittle down the number of years they must make mortgage payments. The best case scenario is for borrowers to eventually refinance from a 30-year term to a shorter 15-year term. If a borrower keeps refinancing to the same 30-year term, they will never own a home free and clear. The VA's Energy Efficient Mortgage (EEM) helps subsidize home improvements if they help reduce the monthly cost of ownership, namely the cost of heating or cooling your house. Borrowers can get $3,000 to $6,000 to spend on things like solar heating/cooling systems, insulation, water heater wraps or replacing old appliances with energy-efficient ones. The EEM is available for new homes purchases or alongside a refinance. Part of qualifying for the EEM requires some paperwork that demonstrates the projected cost savings on monthly utility bills should the improvements be made. Native American veterans may apply for loans directly from the VA for home purchases, construction, or home improvements on Federal Trust Land. There’s also a NADL program to refinance an existing NADL loan. Borrowers should contact their VA regional loan center about this program. Veterans with certain service-connected disabilities may qualify for grants for constructing or adapting a home to accommodate the disability. These grants work in conjunction with VA-guaranteed home loans. For example, Special Housing Adaptation (SHA) grants funds can be used as a down payment at closing when purchasing a home that has already been adapted. Specially Adapted Housing (SAH) grants can offset the total construction cost of a new, adapted home. There are also grants for assistive technology such as voice recognition and living environment controls that could aid or enhance a Veteran or Sermicemember’s ability to live independently. Veterans should work with personnel at their nearest VA Regional Loan Center to determine if and how a SAH or SHA grant can be applied. Veterans may use adaptive housing grants up to three times as long as they don’t exceed the total grant limit. Current grant limit amounts can be found at VA's Website.